Being aware of these asthma treatment basics will help you deal effectively with many emergency situations. So reinforce the feeling that everything is under control, this is vitally important. There are several easy to use strategies that can increase the effectiveness of any asthma treatment plan. Although your symptoms may be well managed by medications, it is important to remember that the more pro-active you are in managing your asthma, the more you will find that your symptoms are under control. Following these guidelines will give you the tools you need to live a healthier and more active life. Developing an asthma action plan is one of the most important things you can do to live a happy healthy life even though you have asthma. An action plan should include all your important medical information that would be needed in case of a severe attack requiring emergency intervention. It should include a list of asthma triggers, the name a dosage of daily medications and the name and dosage of rescue medication, as well as emergency telephone numbers. Your plan will include a description of your asthma zones and the action to be taken for each zone. Gathering this information together and making sure it is readily available is much easier if you make it a part of a daily asthma diary. An asthma diary is used to record all of your daily observations, possible triggers, PEF readings and a description of your asthma zones. 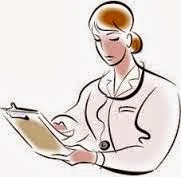 Total honesty in recording your symptoms, no matter how small, is very important. There are many sample asthma diary forms available online or you can design a chart that works for you. These forms can be organized neatly in an attractive folder system or in a loose leaf binder. Include a copy of your action plan at the beginning of your diary. The most important thing is to make sure to use this diary every day to get a more complete picture of how effective your treatment plan really is for your needs. Try to choose a format that is easily carried, so that you can take your diary with you. Another option is to have a portable diary and then transfer any information to your main one at the end of the day. A record of peak expiratory flow, or PEF, readings in a key component your asthma diary. Measure your PEFs before you take any asthma medication. Compare your reading with your asthma zones. When you find that your reading is less than 80% of your recorded best reading, be prepared to take the appropriate action in your action plan. Once you have been keeping your asthma diary for a while, it is important to evaluate the information you have gathered. Ask yourself about any changes in symptoms or increase in attacks and try to pinpoint the reasons. Always take your asthma diary to your doctor visits and discuss any changes or problems that you have observed. Your doctor can review your medications and make necessary adjustment with the help of the valuable information you have gathered. Being an active part of your asthma treatment is the best way to make sure that your asthma is well controlled, leaving you with as many symptom free days as possible. Trying some of the sensible tips in the article above is a good way to get started today.